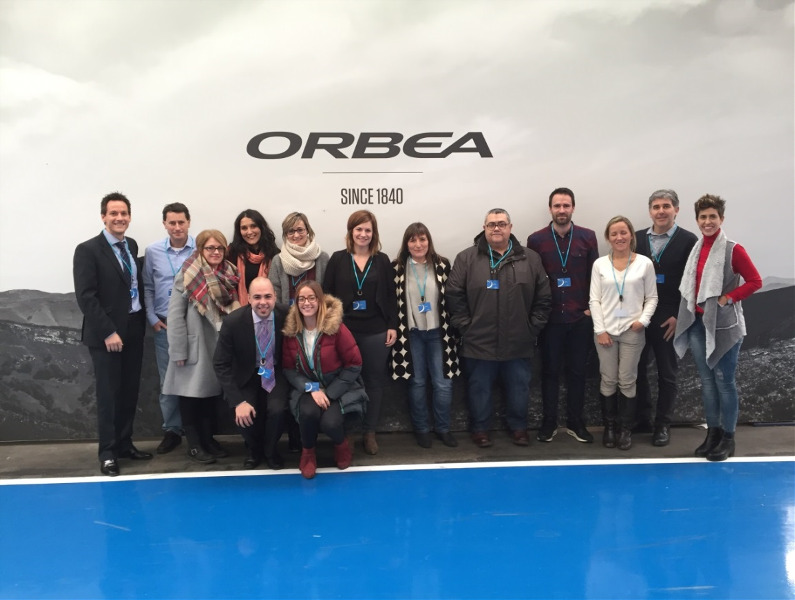 The launch of the HAZITEK Project FUNCONA4 took place on the 9th of February at the ORBEA facilities in Mallabia: Products with personalized functionality by means of adaptable and versatile technologies. This ambitious 3-year project will allow for the development of new surface finishes with a customized function that will provide the products with greater resistance to corrosion, mechanical surface degradation and fouling, as well as high aesthetic value. This way, the participating companies will increase their competitive capacity by developing and applying more versatile processes as an alternative to the current industrial manufacturing processes that fail to meet the growing demands of consumers for customized and multifunctional products. The great technological challenge of the FUNCONA4 project is to address the development and implementation of different industrial sectors of new surface treatment technologies at an industrial scale. These are adaptable, versatile and transversal technologies, able to process new high performance products with new and multiple functionalities integrated and personalized in accordance to specific customer requirements of the companies that make up the consortium. On the other hand, the technology required for its industrial application already constitutes a novel product in itself, as the companies that develop it can offer it globally. These technologies are transversal in the sense that they can be applied to a wide range of materials and geometries of products belonging to different industrial sectors. The project has been promoted by the company ORBEA, leader in the sector of the production of sports equipment (bicycles). The consortium is comprised of other leading companies in their respective sectors, also interested in responding to the demand for products with customized multifunctionalities. These companies are: MAIER, in the automotive sector; ABB NIESSEN, in the electrical sector; AMPO, in the field of valve manufacturing; CIKAUTXO, specialists in the development and production of rubber and plastic components for various applications, and MUGAPE and IRURENA, specialists in surface treatment. The ambitious objectives of the project require an applied research effort that requires the close cooperation of the Basque R & D entities participating in the project (CIDETEC, MAIER TECHNOLOGY CENTER (MTC), IK4-TEKNIKER, TECNALIA, CIKATEK R & D AND INNOVATION CENTER AND MONDRAGON GOI ESKOLA POLITEKNIKOA) and the participating companies, in order to achieve the great technological leap that is expected to be attained.